Subscribe to one or more of our news and opportunities email lists below. Manifest will on occasion send announcements about exhibits, programs, and opportunities to our subscribers. Some content is valuable and applicable to people far from our location in Cincinnati since we exhibit, publish, and promote artists from all over the world. Other content is more relevant to people living in and around Greater Cincinnati, or those who might be traveling here at some point. This subscripton will allow you to select which kinds of announcements you wish to receive. You may, of course, elect to receive all. And you may also change the types of announcements you receive at any time by visiting the preferences link provided at the bottom of each email you receive from us. We sincerely hope that this is a useful and appreciated feature of Manifest's announcement system. Without email and the power of the Internet, Manifest would not be such a successful and dynamic non-profit arts organization making a difference in the world today. For PRESS and MEDIA subscriptions please email lists administrator with your request to be subscribed. Please provide your official credentials. NOTE: To be sure you receive Manifest emails, set your email spam filters to APPROVE emails from Manifest@manifestgallery.org, (whitelist our messages). Artists submitted to our calls should also whitelist emails from manifestgallery.org (our default server notification address). If you select Postal List you must provide a full mailing address. Note that all lists may receive two to four mailings per year regarding our membership support campaign. Anyone with an interest in one or more Manifest program also has a stake in the wellbeing of this 501(c)(3) nonprofit organization. This list offers ONLY news about current and upcoming opportunities for artists, designers, professionals and students, to exhibit or submit work for jury consideration in Manifest's ongoing calls-for-entry. If you, or someone you know, would like to receive timely updates on Manifest opportunities, then please subscribe to this list. This is the DIGEST version of our Exhibit Opportunities list and will be sent only twice per month, usually around the start and middle of the month, regardless of deadline dates for included items. It will contain any and all currently open Manifest calls for exhibition submissions, residency application deadlines, publication projects, and other opportunties relevant to exhibiting artists, all in one tidy email. If you would like to receive a regular but limited quantity of updates on Manifest exhibition opportunities, then please subscribe to this list. This list offers ONLY news about scheduled exhibit presented by Manifest, including reminders about hours, exhibit events, artist talks, opening receptions, etc. This list provides specific news regarding Manifest Studio programs, including current and upcoming schedules, cancellations, and new opportunities. If you are in any way interested in or currently attending Manifest studio offerings or events, then please add this to your list of subscriptions. This list is intended primarily for students of all levels as well as professors and administrators at educational institutions. Mailings to this group are infrequent, but will include any information we feel is relevant to academic study. This could include information about workshops, internship opportunities, collaborative projects, etc. 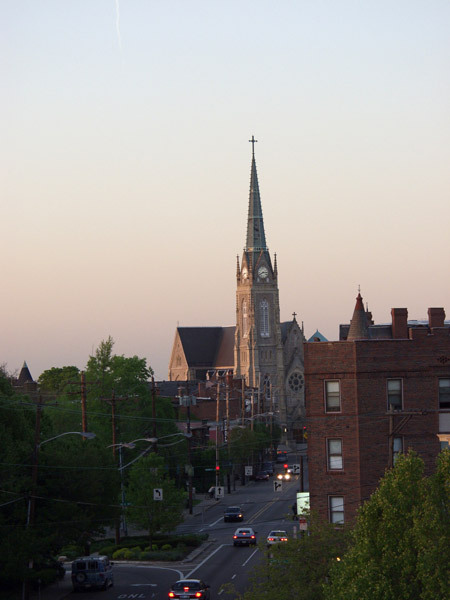 This list is specifically for residents and businesses of the area surrounding Manifest Gallery in East Walnut Hills, and for others who are interested in activities within this community. If you live or work in East Walnut Hills, O'Bryonville, Mt. Adams, Walnut Hills, Eden Park, or other nearby communities surrounding the 45206 area, this list is for you. Various forms of content will be sent to this list, including exhibit announcements, studio opportunities, and other Manifest news. Calls for entry will NOT be sent to this list. This list will provide, by default, ALL news available in the lists above. If you want to receive all news and opportunity mailings from Manifest then please just select this option. This list offers subscribers the option to receive Manifest mailings through the postal system. These include annual membership information and occasional program-related material. Subscribers to this list MUST include all relevant mailing address info in the subscription info to receive mailings. Note: In an effort to operate more environmentally responsibly and to conserve resources exhibit announcement cards will no longer be mailed to non-members. 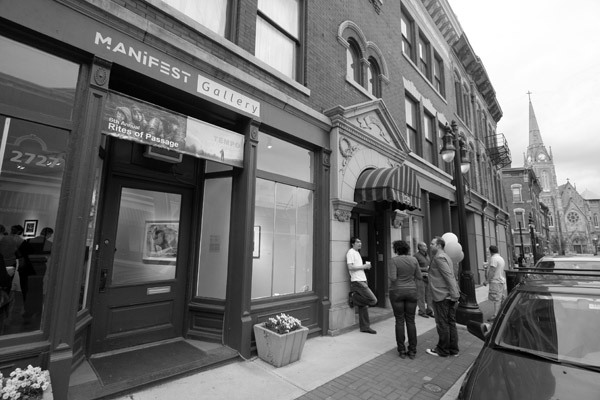 PLEASE consider supporting Manifest by becoming a supporting member at www.manifestgallery.org/support. Exhibit announcements will continue to be emailed to subscribers of our 'exhibits' list. Please Note: Be sure to whitelist mail from manifestgallery.org to prevent it being mislabeled as spam.